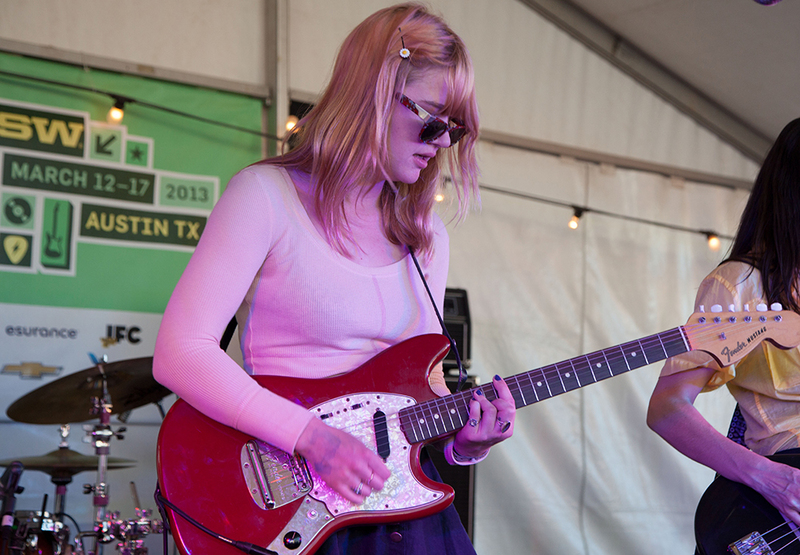 The festival was an intense mix of exhilaration and exhaustion, a real adventure under the laid-back Austin sun. 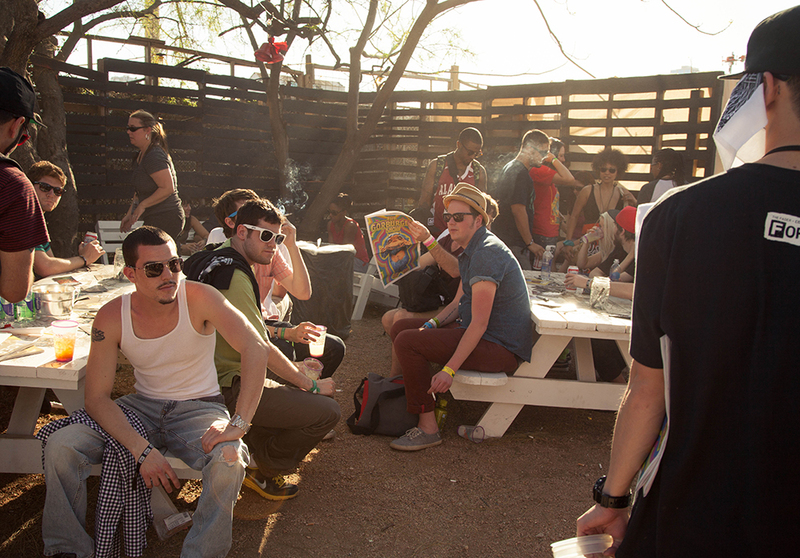 There were open bars, day parties followed by night parties, and a thriving, magnificent food truck scene to keep us going. 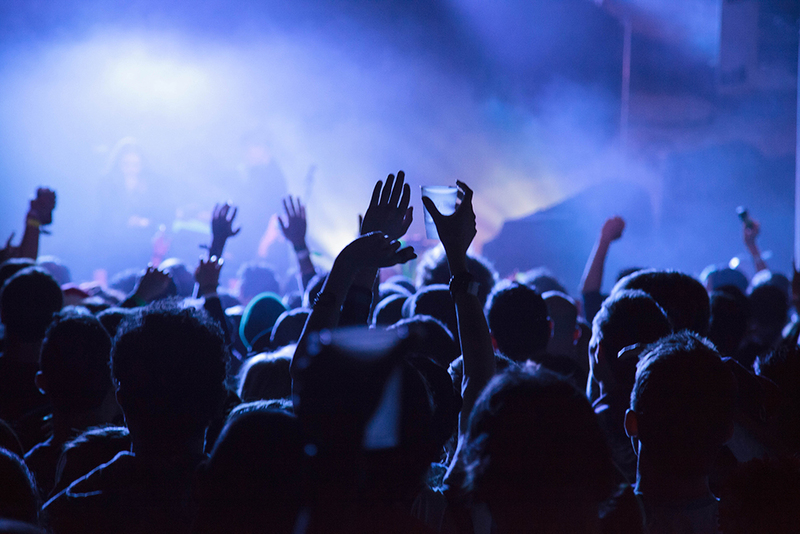 We danced late into the night to solid dj sets, jumped around to dance music, we swayed to driving synthy darkwave and were reminded that punk rock will never die. No one wanted to rest for too long, for fear of missing something great. Weary, sleep deprived and sore, we shuffled back into the van at the end of the week for our long drive home. We took in the beautiful weather one last time on one last rooftop, and hoped the drive would be quick (it wasn’t). Once back in Pittsburgh, we reluctantly came to terms with the cold and snow. As we said our bleary-eyed goodbyes, it was apparent that we ended the trip with more friends, or better friends than when we first piled into the van 8 days earlier. The open bar could be partially to blame, but at the end of the night, the crowd went wild for Icona Pop at the Viceland showcase. 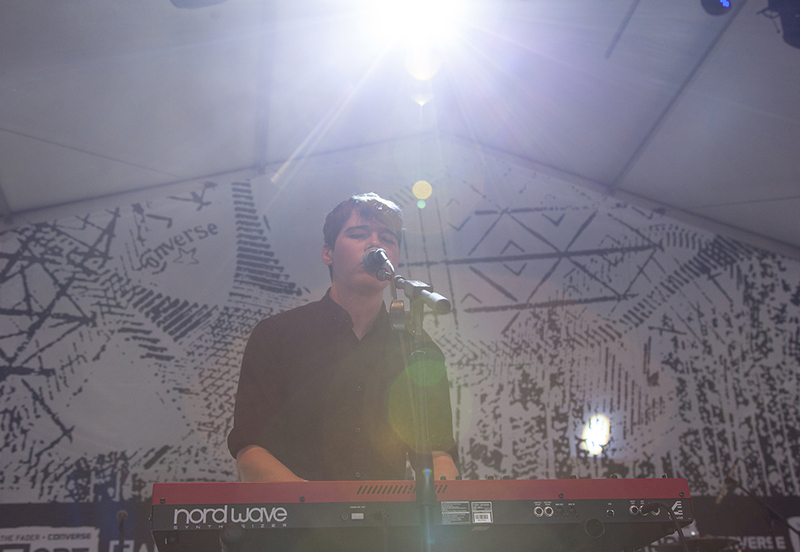 Small Black performs at The Fader Fort, an expansive venue hosted by The Fader magazine. 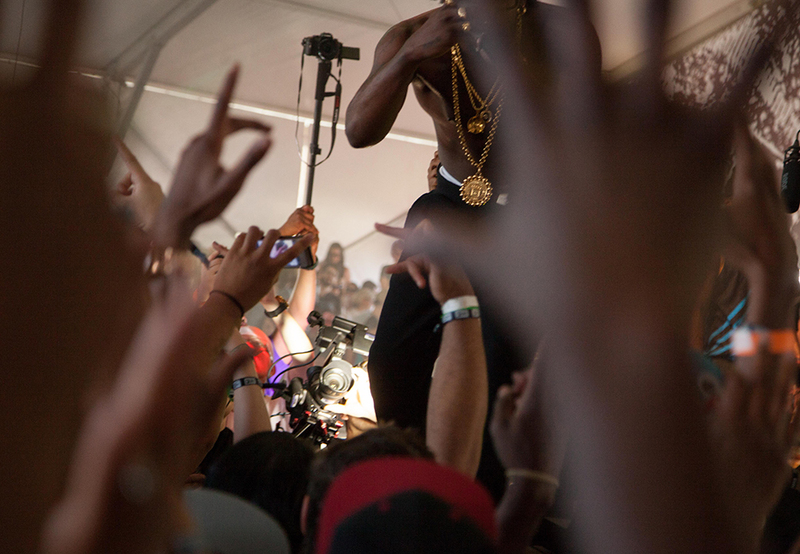 Sitting down for a moment inside The Fader Fort. 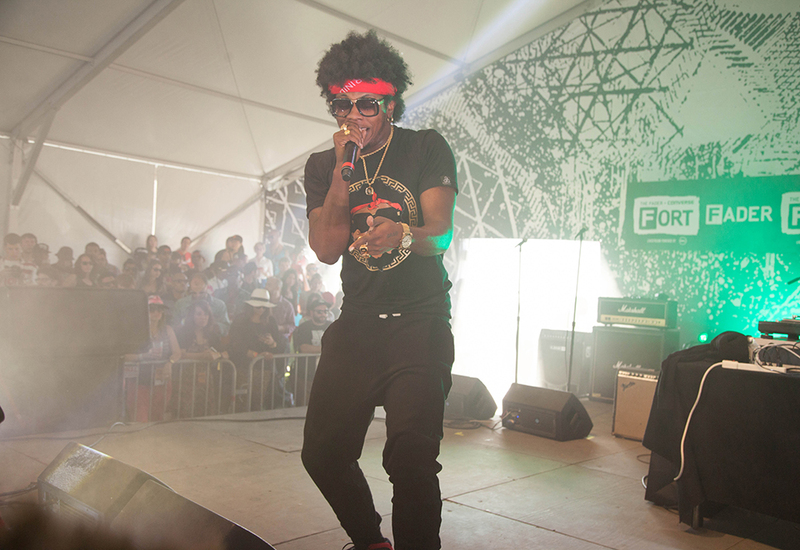 Trinidad Jame$ gets the crowd popping at The Fader Fort. 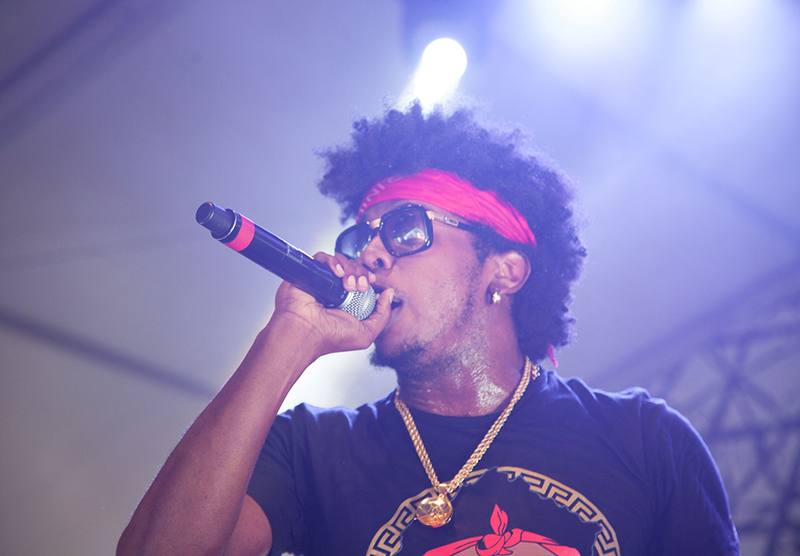 Trinidad Jame$ gets the crownd popping at The Fader Fort. A long line of people wait for their order at the Mi Jo Hungry food truck. 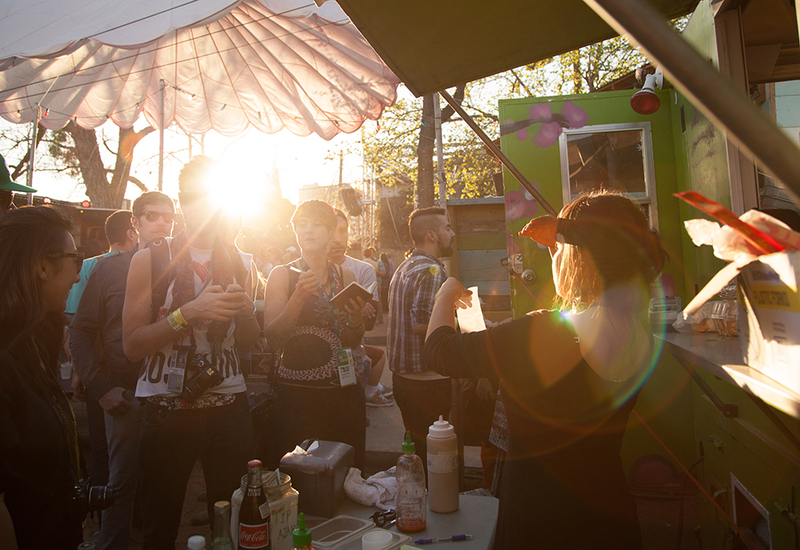 Austin has an impressive food truck scene, with many eager patrons. 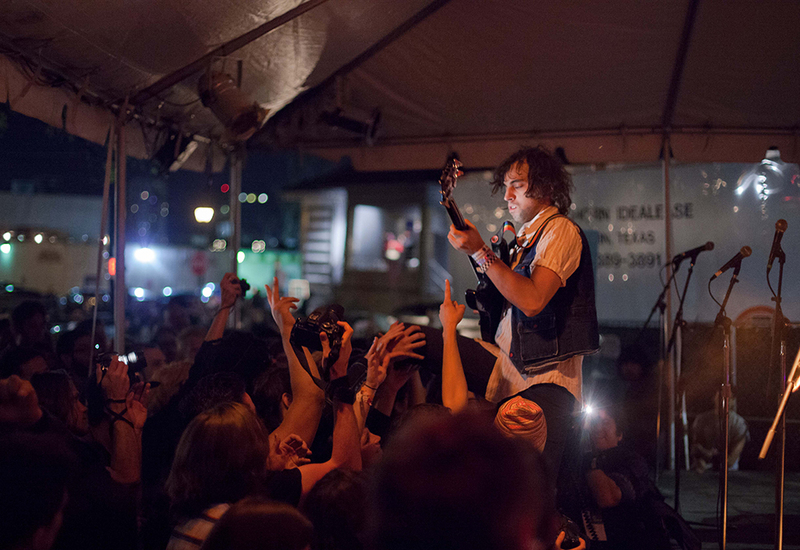 The Night Beats perform at Hotel Vegas. 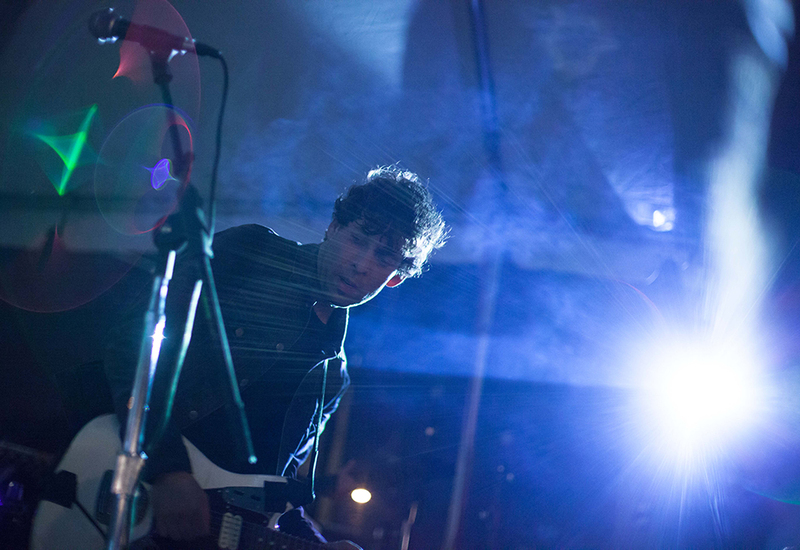 Thee Oh Sees liven up the crowd at Hotel Vegas. 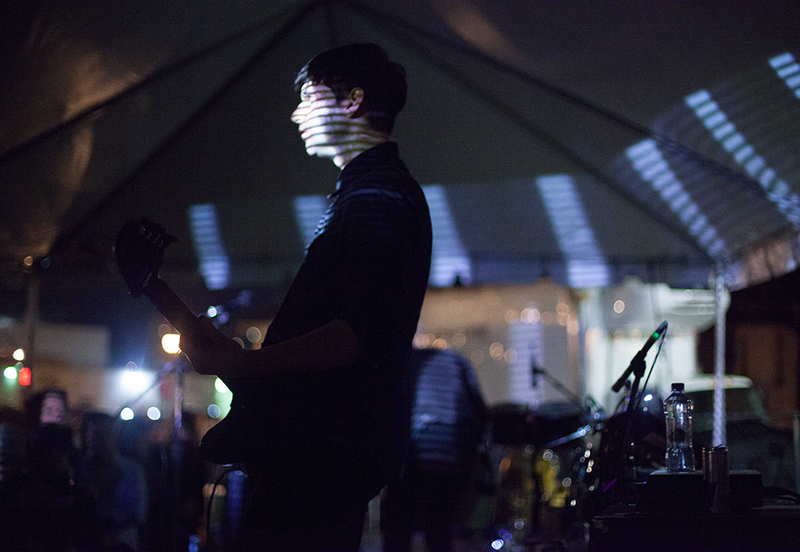 The Soft Moon bring a darkwave, synthrock feel to Hotel Vegas. 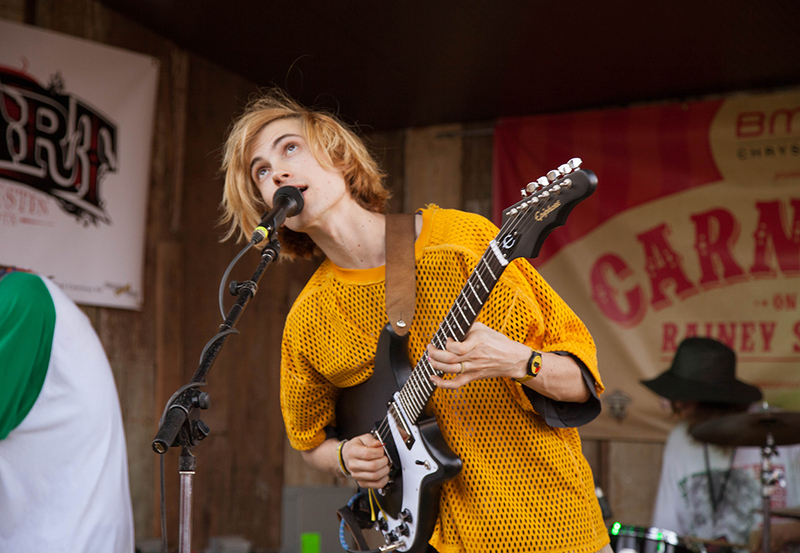 DIIV plays at the Blackheart Bar on Rainey Street. 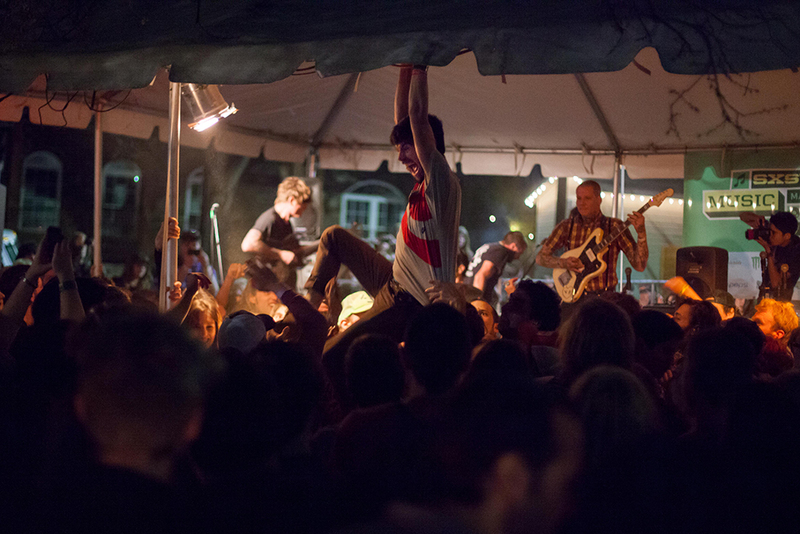 White Lung brings some puck rock to Bar 96. 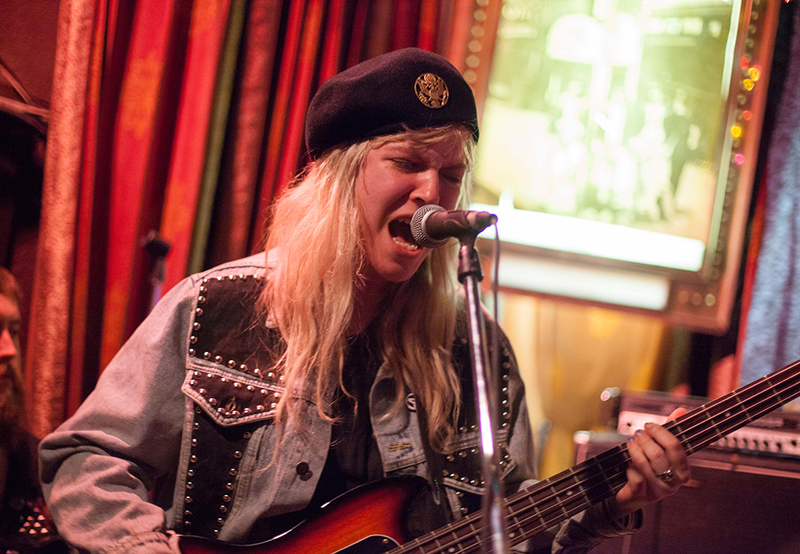 Bleached mix in a little psychedelic pop with punk rock at Bar 96. 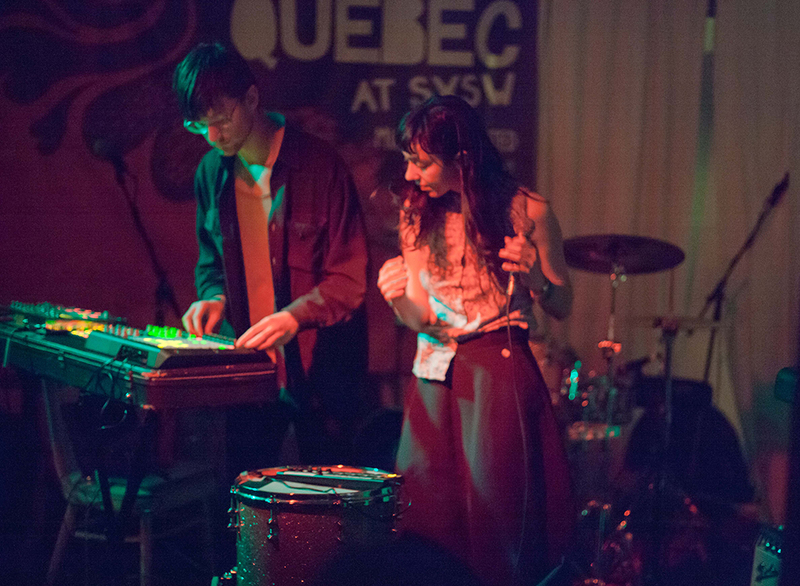 Blue Hawaii plays at a showcase for bands from Montreal. Nu Sensae adds a little high energy noise punk to the line-up at the Longbranch Inn.